Back in 2003-4, I had a training firm that also sold and repaired computers. Computers, at that time, were mostly desktops – easy to open and do whatever you like. Of course, branded computers too were there – with a warning: Opening the seal will void the warranty. For passionate technical people, it was a No. Anyway, we will not do a comparison of DIY Computers with Branded Computers here. 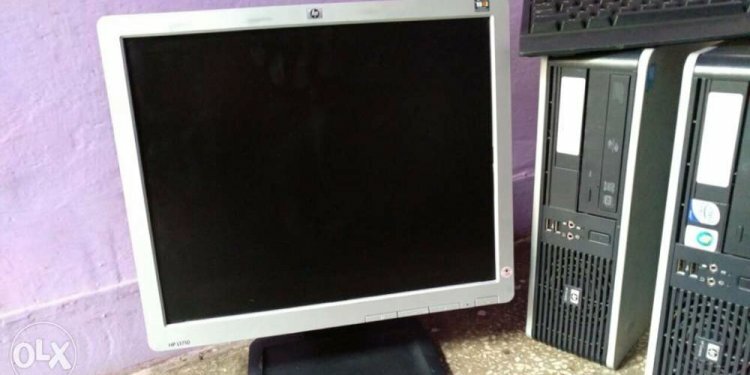 Rather, since the scenario is much different today from what it was in 2003, we’ll list benefits of branded computers side by side to benefits of DIY desktop computers. That way, you will be able to judge on your own, which option suits you better – a branded computer or assembled or DIY desktop. Before beginning, let’s categorize them as DIY desktops, assembled computers and branded computers. DIY may fall under the category of assembled computers but in this article, we’ll use the phrase “assembled computers” to refer to computers assembled by professional firms for their customers. Most of the article talks about desktops but stands good for laptops and other forms of computers as well. Back in 2003-4, people were of the mindset that branded computers mean much more money compared to local assembled computers. We gave them estimates of an assembled computer while showing them the prices of branded computers. The customers knew that we know more about computers, and they believed us. I don’t think we lied but sure got orders – though not from bigger institutions like banks etc. that purchased in bulk. Our firm was not that big to instill confidence in them that we’ll stay another five years to offer them on the spot troubleshooting. But we sure got to look at the computers they were using. Looking at their CPUs (rather, the CPU cabinets), we could tell they were all assembled. Times changed since then. Back then, people preferred a cost-effective computer that can do what they want – office work or personal. Gaming etc graphic intensive computers too were there but the demand was pretty low compared to other needs. The current period sees a combination of different needs. People want office computers that can also play games and let them watch movies. Naturally, the configuration changes and becomes a combination of two or more types of computers. Branded Computers Save Time, Assembled Computers Are…Messy? Coming to advantages of branded computers over assembled computers, you save plenty of time in acquiring one. Building a cost efficient ‘assembled’ gaming computer – for example – could take a good deal of research for parts whereas going for a cost efficient ‘branded’ computer would mean research only for configurations. Thus, you save much time. Just in case the above is not clear, to have a DIY computer, you will first have to know what all parts are required, who all are selling those parts and capacities of those parts – not to mention costs and warranty etc. That in contrast to comparing branded computers online is pretty time-consuming. Some companies do provide DIY kits but then, they are not much different from branded as the configuration is pre-determined. The casting agency for Fallaout3, Blindlight, tried to include the former president Bill Clinton in the game. To be exact, they wanted to use Clinton's voice but the offer was declined. Still, instead of silence, the agency received the answer from the candid. Intrigued? Go to gamerbolt to learn more about the latest news in the world of gaming.